DUMBARTON beat full-time St Mirren for the second time this season and ended the reign of ex-Sons boss Ian Murray as Saints manager. Some 1,200 fans saw Stevie Aitken's men outplay their Paisley opponents at the Cheaper Insurance Direct Stadium, win 1-0, and grab their third win and shutout in a row. The home side nearly went into the lead after a few minutes when Sean Kelly headed past his own keeper (pictured), but ref Nick Walsh ruled it out because of a push on Kelly by Grant Gallagher. The rest of the half was even, with the part-timers looking every bit as good as the visitors. Diminutive young striker Donald McCallum posed real problems for the big defenders, while at the other end keeper Mark Brown was in fine form. Five minutes into the second half came the game's only allowed goal, when Gallagher passed to Garry Fleming and he wheeled round and shot home past keeper Jamie Langfield. 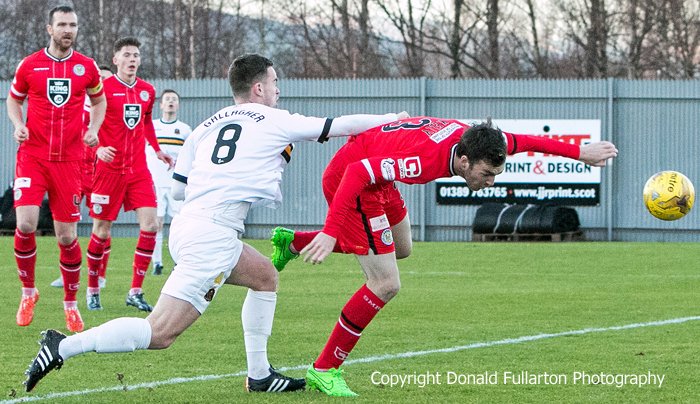 While the Saints fought hard and created some chances, Dumbarton always looked like staying in front. Shortly before the end McCallum had the ball in the net, but the goal was disallowed because of offside. The final whistle brought a torrent of abuse for Ian Murray from the Saints fans, and half an hour his resignation was accepted by the St Mirren board.